Cocktail attire is a dress code that baffles men and women. What on earth does it even mean? If you received an invitation with a cocktail attire dress code and you’re totally confused, I’m here to help you out. 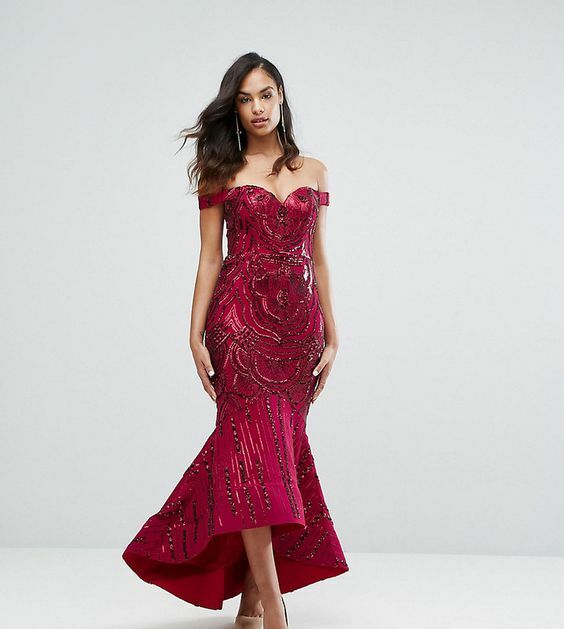 These dresses work for any type of cocktail event, whether a wedding, office outing, engagement party or class reunion. See, I’m already giving you some ideas of where cocktail dress codes are appropriate. Cocktail attire is a shade below a formal event. That’s really it. It’s not as fussy as formal but it’s miles away from casual. And no, it’s not semi-formal either. Semi-formal kinda screams “dress up your jeans” and that ain’t it. At a cocktail event, you’ll want to keep your neckline and hemline decent. It can be a place where you may run into your boss or your future boss or prospective client so you’ll want to keep the sleaze at bay. So, What is Appropriate for Cocktail Attire? Slinky or structured fabrics, sharp, tailored suits whether skirt or pants and minimal accessories. You’ll want to keep the stretch material to a minimum and the loud makeup for the girl’s night out. Yes, you can totally wear pants for cocktail dresscode and I’ll include a couple here for you to see. Let’s get into some looks. This red lace dress is the perfect cocktail attire for women. It’s lacy and demure with a high neckline and low hemline. It shows off your figure without being too revealing or over the top. Classic earrings and a simple pump complete the look. 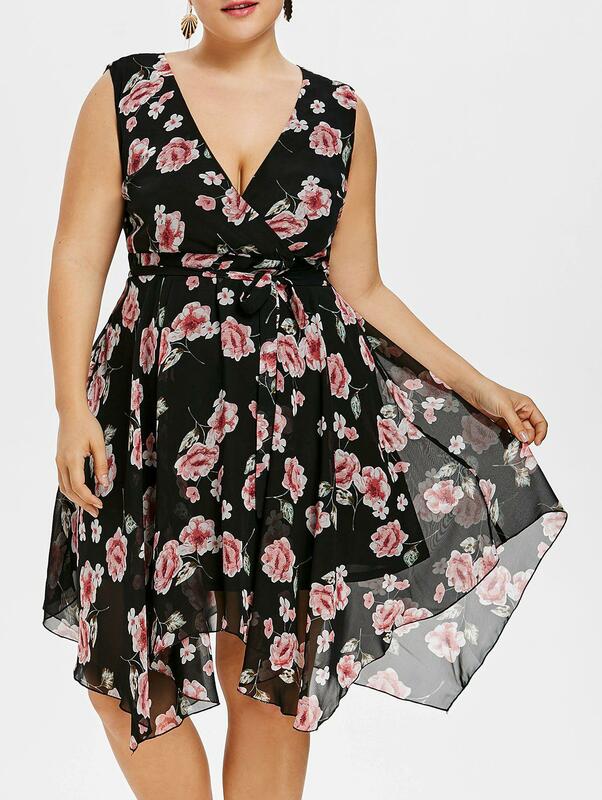 This chiffon floral plus size dress is also a good cocktail dress for an evening out. The neckline is plunging but does not go too low. The hemline is flirty with varying lengths and the chiffon adds a playful see-through flair. Of course the little black dress will make an appearance every season. This slinky number is just perfect, soft and feminine. You’ll be the belle of the ball on your mister’s arm. Get it here. Dark florals are perfect for the holidays! 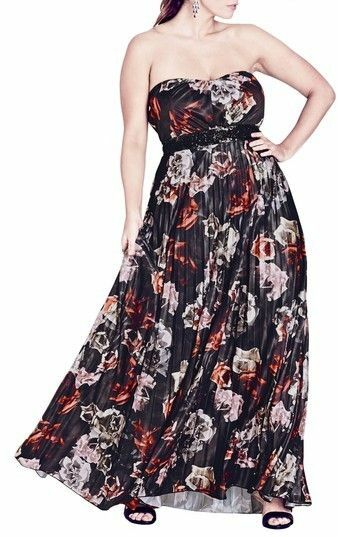 This fun number is flirty and soft and works well for my fellow big girls. Link. Have a few tea-time events to visit? This dress is perfect for your daytime holiday events. Link here. 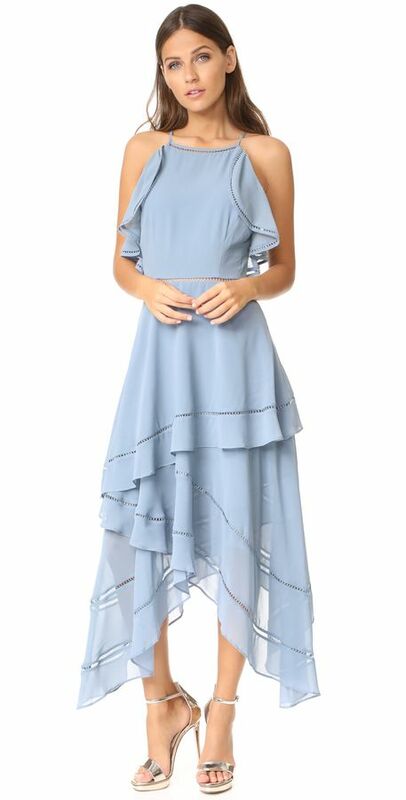 If you loved the above dress but aren’t really a floral type of gal, this powder blue is the perfect option. I love how light and airy it is. More ruffles! I just can’t help it, they’re too pretty. I mean, might as well get into it while they’re hot! Who knows what will be in next year. Get this gorgeous number here. 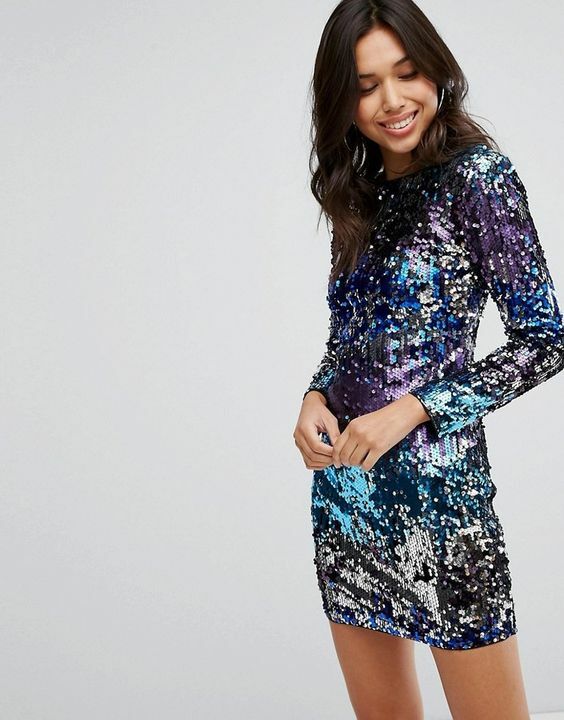 Ok, let’s move away from ruffles and get into sequins. The holidays are nothing without a little sparkle baby and this vintage-inspired flapper dress is the perfect scene stealer for your themed parties this year. Link to buy. For something simpler but still shiny, this dress is the perfect piece. Here you go. If you’re an animal-print lover like I am then this dress will help you to bring out your jungle instincts. Rawr! The more shine, the merrier. It’s Christmas party season after all. The perfect excuse to be as blingy as your heart desires. Clicky. Now we’re shining! 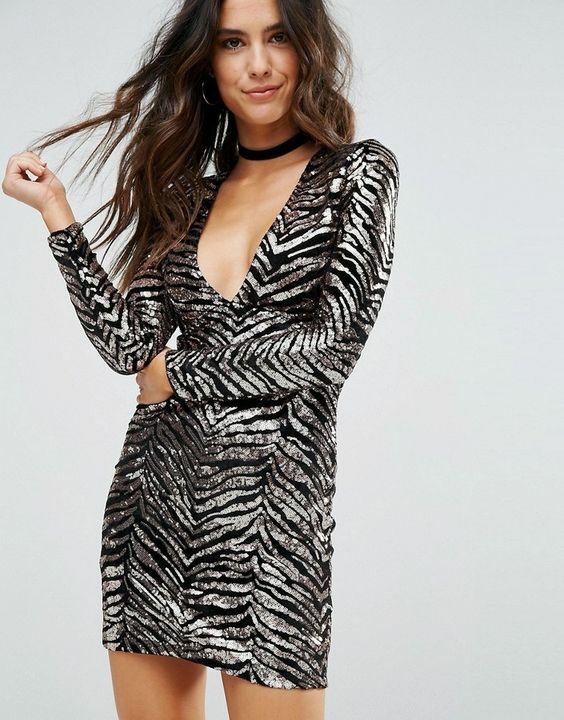 I feel like this dress would be perfect for New Year’s Eve. You know the deal. Let’s get into a few more gowns. I love the print of this one and feel like the style is very classic. Will take you through a few seasons. It’s a great price point too. Here’s the link. Don’t hurt him now! This dress is the perfect date night dress for the party with your boo thang. It will surely land you a boo if you’re out looking. Get it here. Speaking of hurt. Oh laaaawd kill ’em. You don’t need convincing. You just need the link. Girl all these dresses are SO swoon worthy!! I need a few this season and have a couple that I’m loving! Thanks for sharing! I got some great inspiration from this post!! I especially love the glittery/sequence dresses! Love the green lace and the vintage flapper dress. They are all great and will turn many heads at a party! Lovely dresses, blue has always been my favourite colour so it`s not hard thiunking of what I should get.Having said that, the green dress looks lovely too. Can I please live my entire life in that Christmas gown! And the green lace is to die for! the 2nd dress and the flapper dress were my faves. So cute!